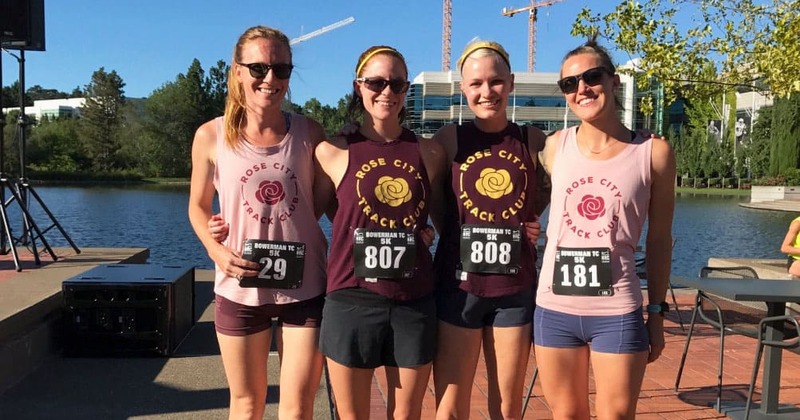 In this episode, I’m talking with Shasta Zielke, who is one of the founders of the Rose City Track Club, also known as RCTC. You may recognize that club because recently we’ve had Greg Mitchell, the head coach on the podcast, along with Amy Brown, the strength coach. Today, Shasta and I talk about RCTC and explain why someone, at any level of running experience, but especially those with specific time or distance goals, might be interested in joining the club. They are taking new members starting this summer. We also talk about the inaugural Rose City Mile, which is a one mile race happening on June 30, 2018 at Dunniway Track in Southwest Portland. I ran the mile in high school, I wasn’t very good, but I have always been fascinated by the distance. Shasta and I contemplate the significance of this distance, and share a few reasons why this is such a great race for any and all runners to truly see what they’re made. Even the very casual 5k beer runner will find this an exciting event! According to Shasta, this club is an opportunity for all runners to push themselves and becomes better runners, to truly see what they are capable of. It’s also really more of a community, motivating each other to be their best. According to their website, the reason RCTC is hosting this event is to provice a, “fun, competitive, and affordable opportunity for runners of all ages and abilities to test their fitness in the mile.” The mile has maintained a mythical status since Sir Roger Bannister did what many considered humanly impossible by breaking the four minute barrier in 1954. We invite participants to consider, “What is your sub-4?” This question and the legacy we’re striving to build upon seems especially poignant and relevant as Sir Bannister passed away this year at the age of 88. There are few opportunities to compete in the mile, as the 1500m / 1600m are typically the college and high school standards. Considering most American runners measure their daily runs and average race pace in terms of miles, we invite participants to challenge themselves in the ultimate test: how fast can you run the mile? The Oregon Brewery Running Series is about inspiring Oregonians to Get Active, Have Fun, and Give Back. We host family-friendly, 5K fun runs that start and end at some of Oregon’s best breweries. Register for our next run here! If you’d like to join us at one of our upcoming runs, register with promo code RoseCityTrack, and you’ll save 20% off your entry. Our theme music, The Oregon Song, is written and performed by James Hoffman.